Rosedale Townhouses are located at 17th Street, NE Washington, DC. 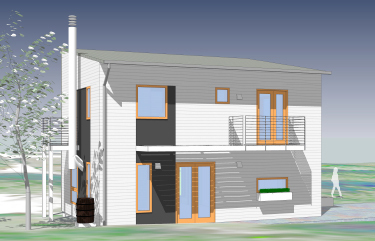 Each townhouse has a ground floor flat with a two story unit above, for a total of three stories. The new construction consists of a wood and steel frame. 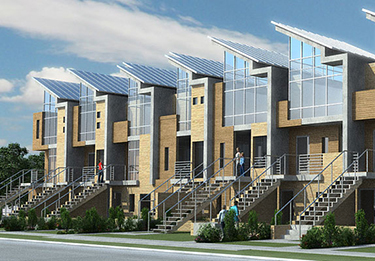 The townhouses are designed under The Green Communities requirements. Complete renovations and one floor addition. The project included strengthening the existing CMU walls, adding columns, posts and footings, and a new wood frame above. Also a radiant floor system was added on grade, a two story vestibule and a spiral stair to the upper floor and attic.